Willow Grace: The dog has a video, too! The dog has a video, too! 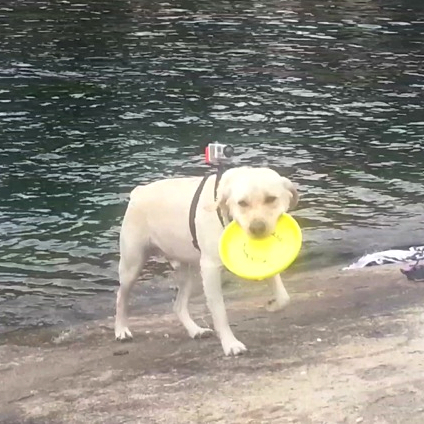 Steve and Max have a GoPro doggie camera harness that goes on the dog's back. That's hilarious!!! Specially when he gets out of the water and shakes himself like mad! Is that you wearing a yellow t-shirt Mad? Looks like it's going to pour with rain any minute!